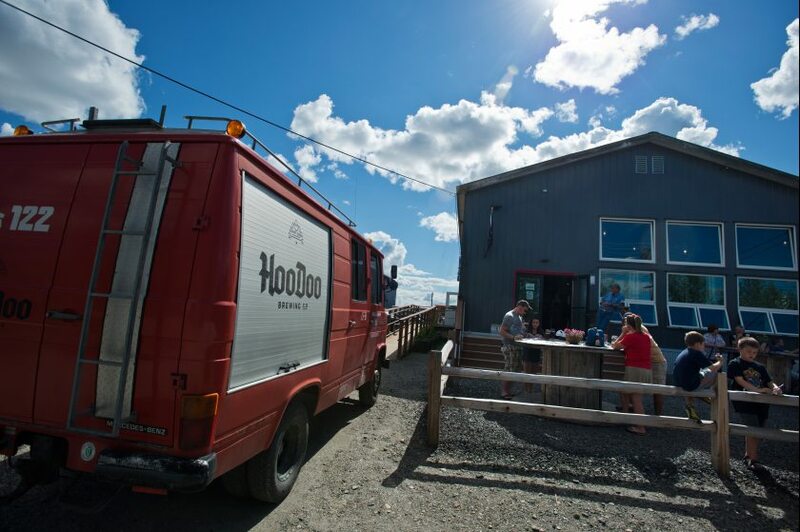 It has been a great winter for us here at HooDoo Brewing Co. In early December, we were recognized as the 2015 Bill Stroecker Business of the Year by the Fairbanks Chamber of Commerce. Presented annually, The Bill Stroecker Business of the Year award honors the accomplishments in the business community of a member of the Chamber who has shown drive in leading local development with sights on the future of Fairbanks. The business is recognized for consistent community involvement, an excellent business reputation with the public, and as a leader in their own profession and/or field of business. This was a really surprising and humbling award for our 3-year old establishment. Fast forward to this week, the U.S. Chamber of Commerce named us a Blue Ribbon Small Business Award winner. The annual program recognizes companies for their dedication to the principles of free enterprise and contributions to restoring jobs and supporting economic growth. We are eligible for a 2016 Community Excellence Award and voting for us is quick and easy. To help us represent Fairbanks and Alaska for this award, click here to register and vote! Thank you! Our local newspaper was super quick to cover the story, too – we love our hometown! The 2016 DREAM BIG award winners were selected from a record number of applicants across the nation for demonstrating exceptional business practices in areas including strategic planning, employee development, community involvement and customer services. “From utilizing local resources and continually giving back to the community to their outstanding reputation within Fairbanks and beyond, HooDoo Brewing Company epitomizes the spirit of small businesses in our community,” said Lisa Herbert, President and CEO of the Fairbanks Chamber. “This award is a tribute to the contributions, hard work and integrity of brewer/owner, Bobby Wilken and of the nine employees that share his passion and vision of craft beer,” she said. “Incredible news. We’re so honored, pleased and proud to accept these awards. We’ve worked hard, have an incredible staff and are grateful for our community support. Fairbanks is a great place to work and we’re happy that we will always have our roots here,” Wilken said when asked about the recognition. Customers can enjoy their beer outside the Taproom in the Biergarten. Thank you for helping us live the dream, Hooligans!